We teach children/kids from 5 and older. We teach basic skills of boxing in a controlled, safe and fun environment. 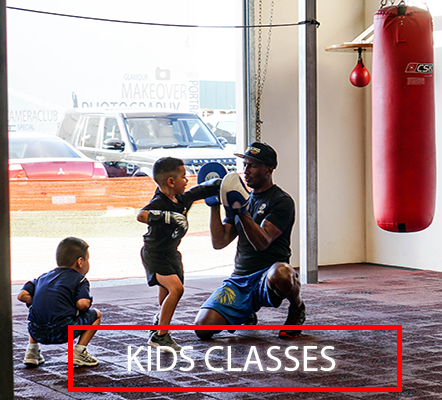 Children will develop greater levels of self confidence and discipline by learning boxing from a young age, as well as body control, fitness, hand eye coordination and total body strength. Our kids classes run on Mondays, Wednesday and Fridays from 4.30pm - 5.30pm.